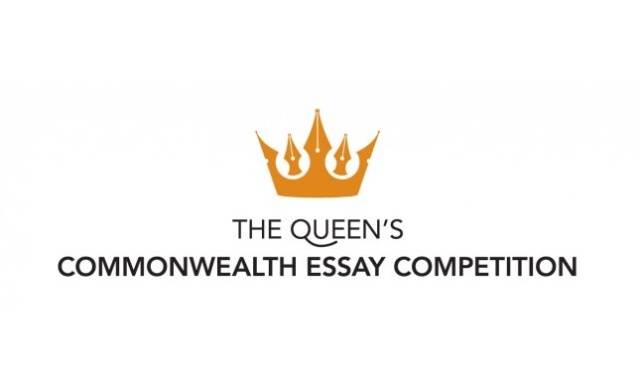 Queen’s Commonwealth Essay Competition Invitation: Applications are currently ongoing for the The Queen’s Commonwealth Essay Competition Now Open. Interested students can see the details and apply if eligible. For 2019, we want to hear from all young people, regardless of schooling, education or region. All stories and voices are important. The competition is open to all citizens and residents of the Commonwealth aged 18 and under and runs from Monday 5 November until 1 June 2019. All entrants receive a Certificate of Participation and one Winner and Runner-up from the Senior and Junior categories will win a trip to London for a week of educational and cultural events. The Royal Commonwealth Society is pleased to announce the theme for The Queen’s Commonwealth Essay Competition 2019 – A Connected Commonwealth. All Commonwealth countries and territories. Building on the 2018 theme of Towards a Common Future, this year’s topics ask young writers to explore the shared values, interests and experiences across the network, and how they can use this to make positive change. It calls on young people to consider the potential of the Commonwealth in strengthening the cast and varied links between citizens. Judges described entries to the competition in 2018 as ‘‘fantastically imaginative’, ‘hopeful’, ‘quite exceptional’ and ‘passionate’. We expect a similarly high calibre of writing for 2019. The competition is open to nationals or residents of all Commonwealth countries and territories, as well as residents of the Maldives and Zimbabwe. Residents of non-Commonwealth countries whose entries are submitted through their local RCS branch are also eligible. Entrants must select a Senior or Junior topic depending on their age on 1st June 2019. Senior entrants must be born between 2nd June 2000 and 1st June 2005 (14-18) and Junior entrants must be born after 2 June 2005 (under 14 years of age). Plagiarism is not accepted in the competition. Every year a number of students are disqualified because they are suspected of plagiarism. Please see our guide to plagiarism before submitting. Final documents should not include the entrants personal details including name, age, school or country. This information should be inputted upon entry. The final copy submitted for the competition must be the entrant’s own work, and cannot be excessively corrected or improved by another person. This does not rule out input or assistance from others but does exclude group entries. By entering the competition, you agree that your personal details including full name, gender, email, school and essay may be sent to your local RCS branch and any Essay Competition partners. Essays can only be uploaded as a Microsoft Word document (.doc or .docx) or in PDF format (.pdf). The online platform does not accept Google Docs (.gdoc), Pages documents (.pages) or other word processor formats. Note: if we are unable to find or open your essay file (either through an incorrect format or upload error), your entry may not be counted in the competition. All entrants retain the copyright rights that they have for the pieces they submit, but by entering The Queen’s Commonwealth Essay Competition, each contestant consents to the use of his/her name, and/or pieces or parts thereof in any advertisements, educational materials, corpus research or media and publicity carried out or produced by the Royal Commonwealth Society and its local branches without further notice or compensation. The Royal Commonwealth Society can publish or decline to publish; use or decline to use, any submitted pieces at the Royal Commonwealth Society’s sole discretion. The RCS suggests that entrants retain a copy of their original work as regretfully we are unable to return or provide copies of submissions. The RCS retains the right to change the prize of the competition if circumstances make this necessary. The RCS will only be able to publish on our website and in our literature content that is appropriate for a wide and diverse audience, in line with our own policies. Entrants are encouraged to consider this in relation to their use of language when entering the competition. Prizes have traditionally been awarded only to the first prize winners in the Senior and Junior categories and also vary year by year. All entrants receive a Certificate of Participation and one Winner and Runner-up from the Senior and Junior categories will win a trip to London for a week-long series of educational and cultural events. The Royal Commonwealth Society is building a new online platform that will be much easier to use and accessible on all devices, but it’s not quite ready yet. We encourage young people to begin writing their pieces and will open the new platform for submissions in early 2019. Please note: we do not accept essays sent by email. Please visit the ‘Terms and Conditions’ page and Competition Webpage before submitting your entry.